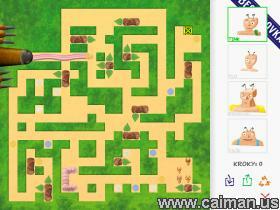 Caiman free games: Antz by Karel Stepka. This is a unique sokoban clone. The main heroes are four brave ants. Each ant has different abilities. Tink: He can drag both objects and drops. Princess Florianette von Grunrasen: She can push objects and drops. Lt-Col Benedict: He can only move drops and nothing else. However, he can both push and pull them. Willi: He can push objects. However, he will not touch any drop. Most of the time you will play with Tink. 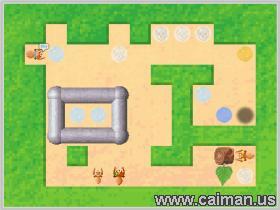 Sokoban is a puzzle game whereby you control a warehouseman who has to push the crates on their right places. note: If you have problems with the graphics on a Geforce 2 video card, please update your drivers. 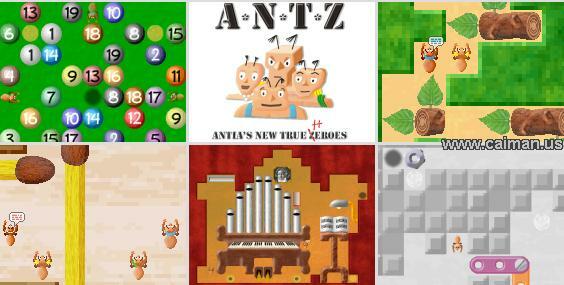 ANTZ is a difficult game and some rooms are very difficult. However all rooms are solvable.